We find ourselves in prisons much more confining than physical prisons with walls and barbed wire. They don’t have names like Alcatraz or San Quentin, they have names like “loneliness,” “the past,” and “fear”… There is another type of prison available for all of us. To be held captive by the prison of hope. 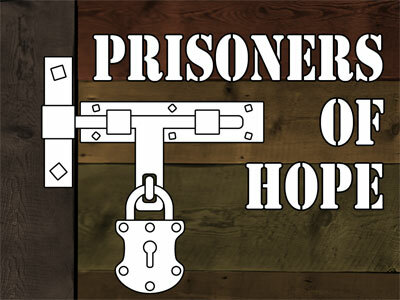 To be prisoners of hope.